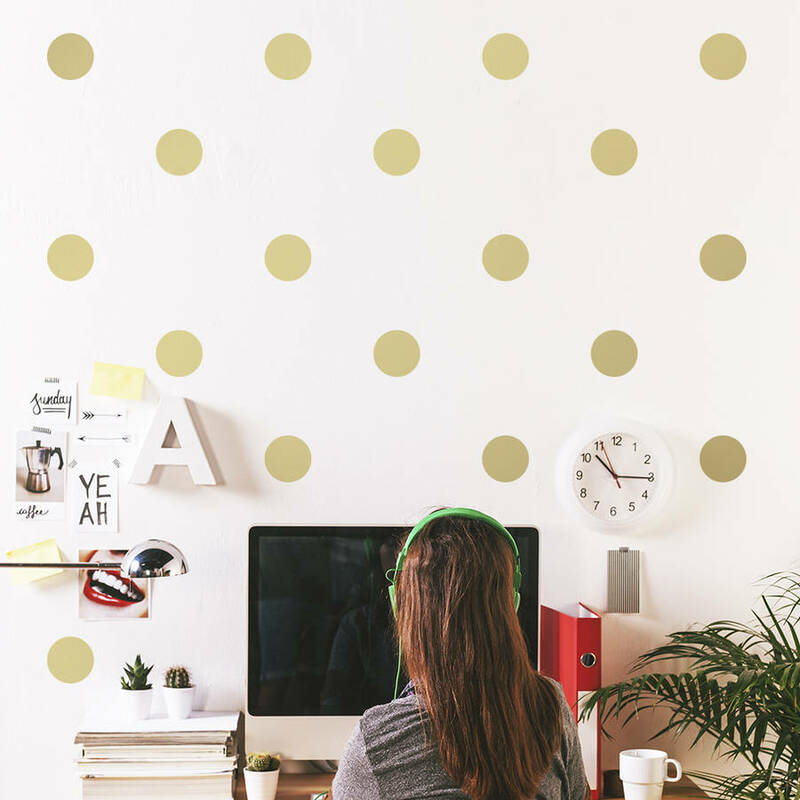 These coloured dots will bring to live any room of your home. Just peel them and stick them on your walls and furniture. At Sirface Graphics we are always embracing the latest trends to create our wall sticker collections. Our range suits both children and adult spaces. 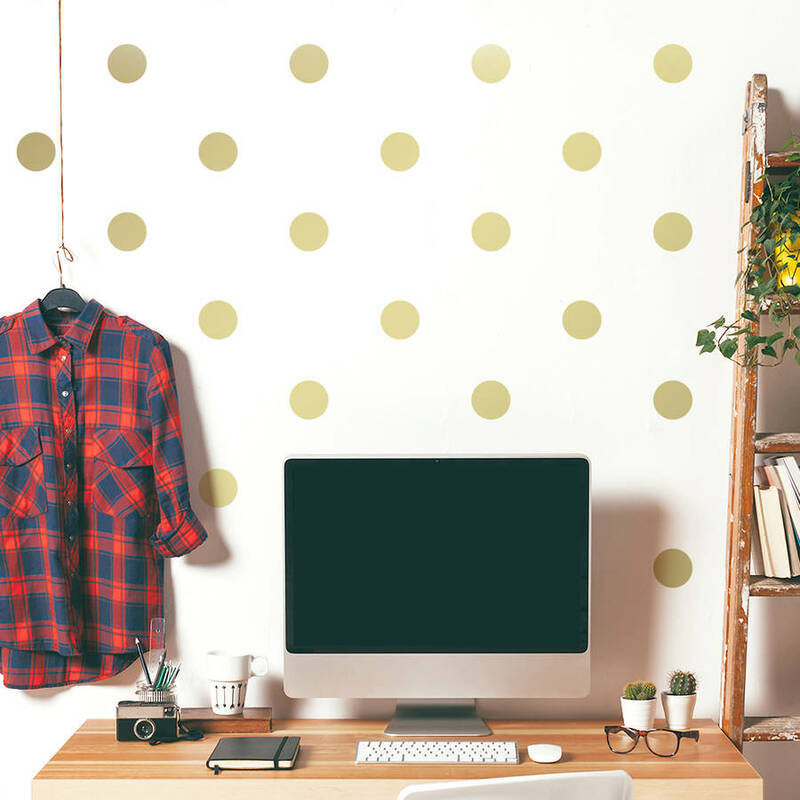 Wall stickers are very easy to install and a very creative way to add personality and colour to any blank wall, window or other smooth surface. The matt finish gives it the painted-on effect without the mess or commitment. It removes without leaving any residue. Choose from a selection of 30 colours. 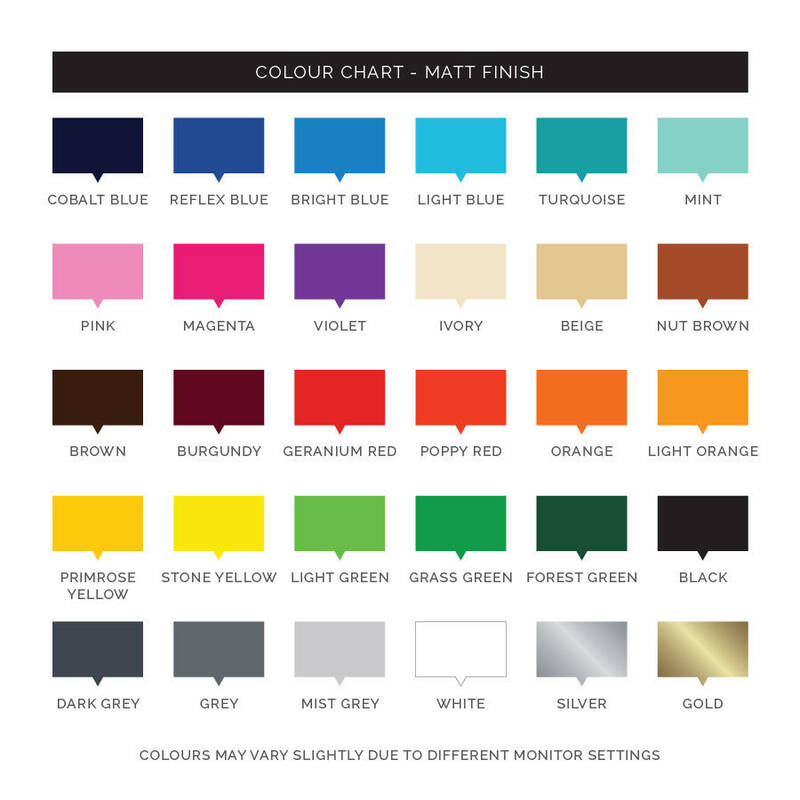 Please see the colour chart image for reference when selecting the colour from the options menu above. All our products include step-by-step installation instructions. Premium matt finish vinyl with a minimum 5-year life guaranteed. 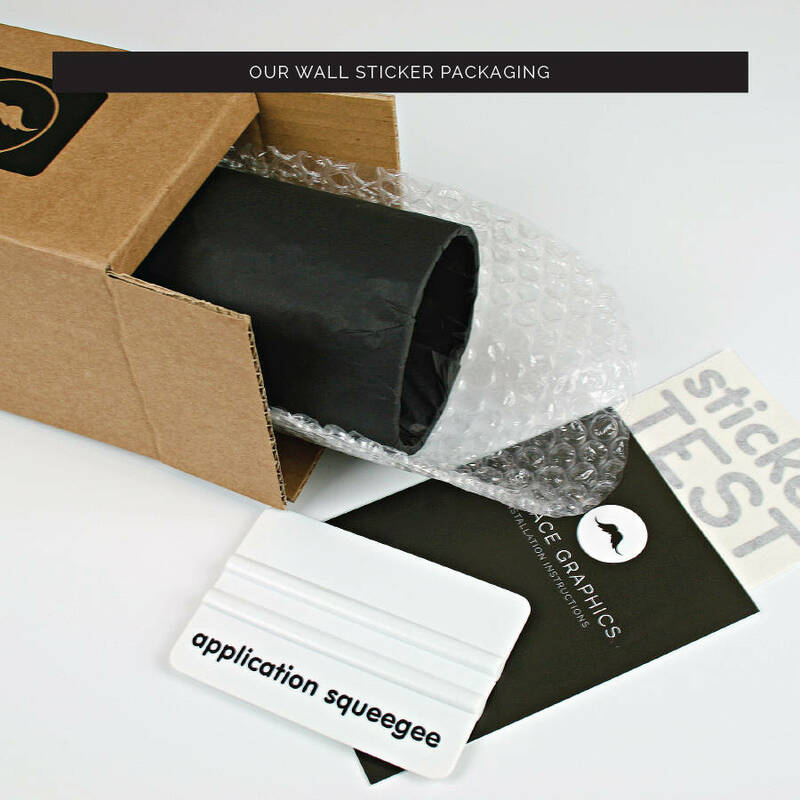 Recyclable backing, transfer tape and outer packaging. There are 50 dots per pack. 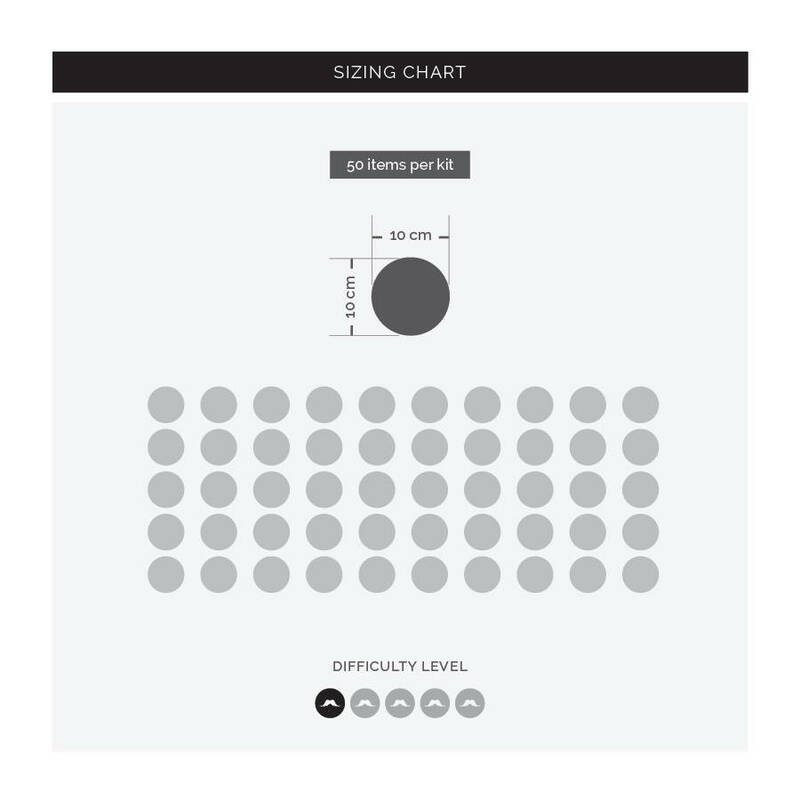 See sizing image for reference. Dimensions are to the nearest centimeter.